Buy the Epicea Blouse sewing pattern from Orageuse. 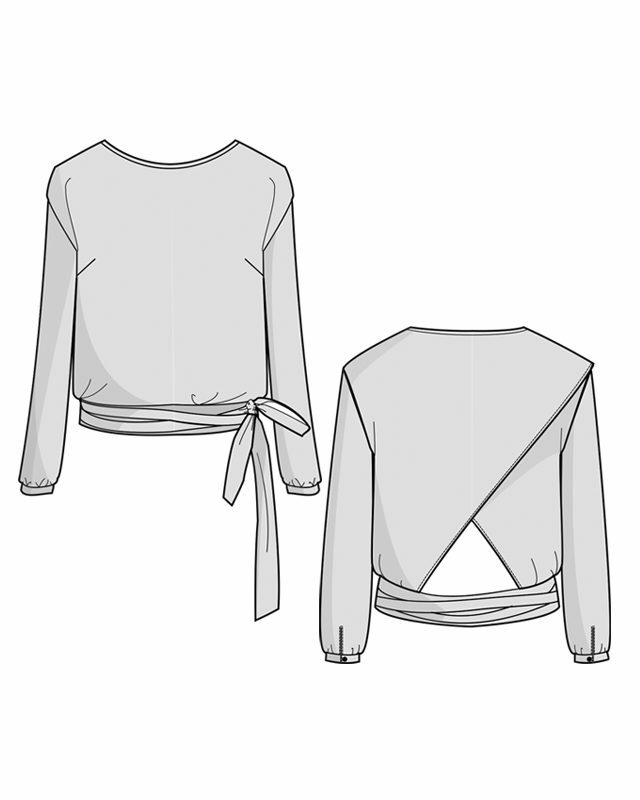 The Epicéa blouse is short and straight-cut. It has bust darts and blouses out slightly at the bottom, with a long double belt that is tied around the hips. 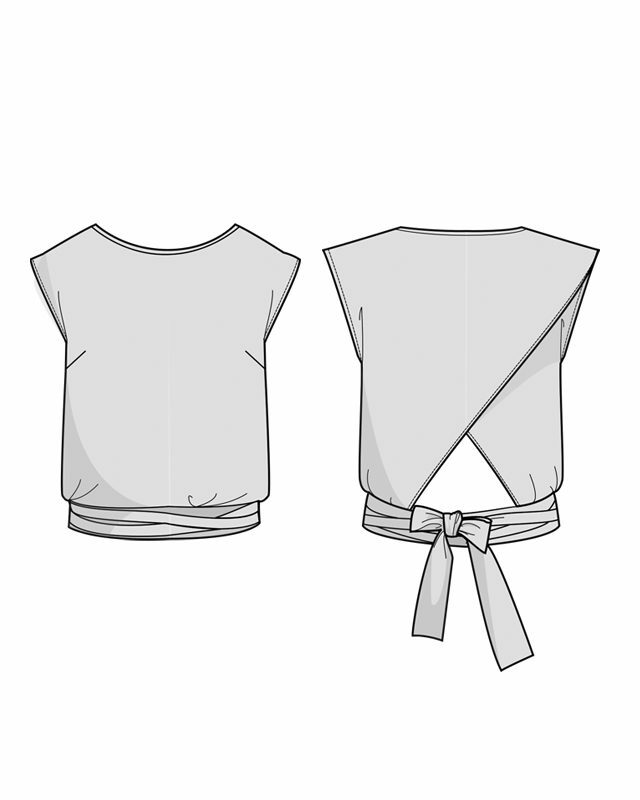 The scoop neck is finished with bias tape, the armholes are dropped. Two flaps are crossed at the back, creating a triangular opening. 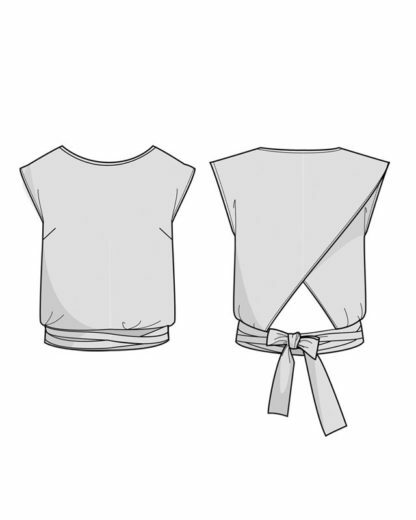 You can either add long sleeves gathered at the wrist over a thin wristband closed with a button OR leave it sleeveless (the armholes are then finished with bias tape).